If something’s weird and it doesn’t look good, who are you going to call? Well, if it’s IT weird, hopefully, you’re going to call 919-962-HELP. That’s true around the clock and around the calendar at UNC-Chapel Hill, including Christmas week. During the holidays, including December 26-30 when the University will be closed, Information Technology Services will still be on the job for campus customers, and as everyone at the University knows, the ITS Service Desk help line is a good place to start. 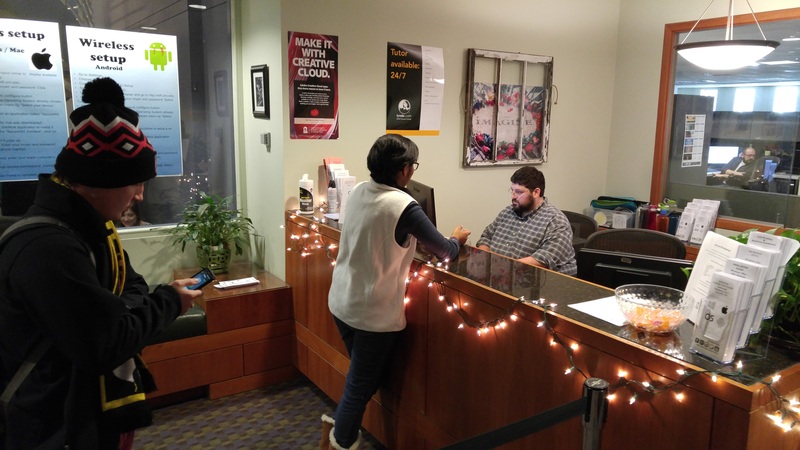 “The ITS Service Desk will continue to support customers 24×7 during the winter break,” said Sharon Glover, ITS Service Desk Director. Likewise, ITS Enterprise Applications, which develops and implements software solutions for University enterprises and other campus users, will monitor help tickets and will respond to critical tickets as quickly as possible. Users who have a critical issue should call the ITS Service Desk at 919-962-HELP and ask ITS staff to create the ticket, since the online help request system does not allow users to submit critical tickets. The ITS Information Security Office, meanwhile, will continue to have 24×7 on-call coverage over the holidays to address any critical issues. Users who suspect an urgent information security issue that places University-owned sensitive information or mission-critical systems at risk should call 919-962-HELP and ask that a critical Remedy ticket be opened in their name and assigned to the ITS Security Remedy group. Similarly, the ITS Communication Technologies group is always watching for network events, power outages, critical tickets and squirrels that like to chew cables. Besides, the data network needs to be in peak operating condition for all the digital demands on it during the home basketball game on December 28. As with the other ITS groups, a call to 919-962-HELP will reach the right people. Many within the campus community will spend the one-week closure celebrating the holidays with loved ones. However, if they should have a critical information technology need, ITS staff will be ready for the call. Four days of winter break are designated as paid holidays. One day – Thursday, December 29 – is not covered as a state-provided holiday and therefore has been designated as a University Closed Day on which employees must use leave.